Last year's Harvest Report was a tribute to my brother, Tom. It is easy for me to look back and smile as I think about the times Tom and I enjoyed in our 50 years of working together. Tom was my supervisor my first day of detasselling. It is also easy to reflect back on the whirlwind of the last year and appreciate all that we have learned. First, I recall sitting down with family members making up our ownership team a week after Tom passed. We wrote on the whiteboard everything we knew he did. As with any family operation, we redistributed the load. Five of us each took part of the list. I think I can speak for all of us when I say, Tom always had a lot going on and we all miss him! He really did an amazing job of helping us to be prepared. Second, he truly had his house in order. This fact has made it significantly easier on his family. I am told a low percentage of people have an estate plan and have communicated their plan with those close to them. Do your family and yourself a favor, get a plan! Tim Greene stepped us as President. I can see growth in him and in his confidence to lead. Tim worked side-by-side with Tom for 21 years and learned well. I am proud to be a source of encouragement to him. This spring helped affirm the value of seed quality and PowerShield® seed treatment. It was one of the lowest replant seasons ever. Growers continue to enjoy the benefits. Post-emerge spray season affirmed off-target chemical drift. It is a continued concern. We are pleased that we not only offer choice but can truly help growers consider all the factors necessary to make good decisions. A few days of heat during pollination hurt a few of our seed fields. I suspect it also helped create some surprises for customers. This is continued confirmation that planting a package of Burrus products provides the best tool to manage future weather patterns. Martha thinks I have been a broken record on this topic for at least 40 years and she has not even turned 40 yet! The opportunity to tell the Burrus story on RFD-TV was an unexpected lift. It was a positive message about the value of independent seed companies. It also provided a chance to see and hear what sets Burrus apart. The announcement of the DONMARIO™ brand was another big step. This allows us to introduce a global source of soybean genetics to the American farmer. 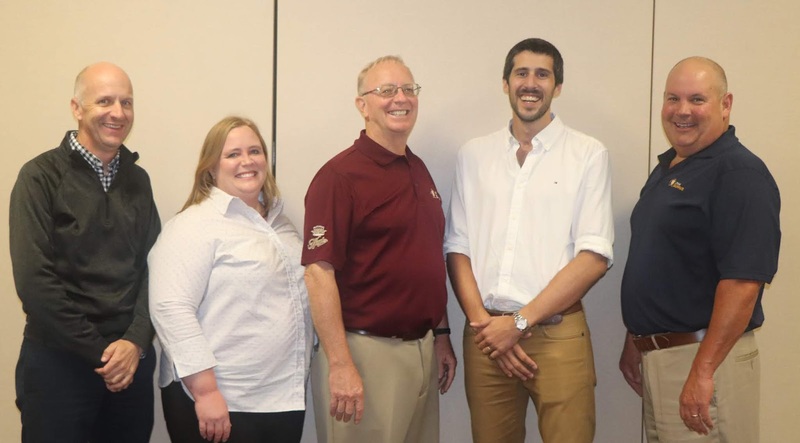 More importantly, it connects two family seed businesses with similar values and goals. Customer reaction has been very positive as they search for a new source that is founded on genetics and not on traits. The Burrus reputation for seed quality remains. Kevin Burrus has put another high-quality seed crop in the bin. Listening to Burrus harvest successes has been very encouraging. It has also been a privilege to walk alongside the customers who have experienced weather adversity. 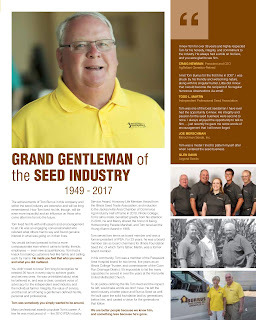 Knowing your seed supplier knows and cares has value! Growers put their trust in us, our information, and our products. We take that responsibility seriously. We look forward to serving you for many years to come! This article was originally printed in the 2018 Burrus Harvest Report.